Setting new standards in the identification and treatment of skin conditions and hair conditions in London, HSA Dermal Clinic is standing by to take your call. Our holistic approach to treatment of common and rare skin conditions and hair conditions alike enables us to deliver uniquely effective and consistent results for every client. Our experience and expertise extend to a full range of skin and hair conditions, affecting men and women alike of all ages. Whether detecting the earliest signs of a skin condition or seeking assistance with a recurrent or chronic skin or hair condition, you can count on the committed support of the HSA Dermal Clinic team. We provide every new client with a comprehensive initial consultation, in order to identify the root cause of the issue and devise an appropriate treatment plan. To organise your own obligation-free consultation, reach out to a member of the HSA Dermal Clinic team today. 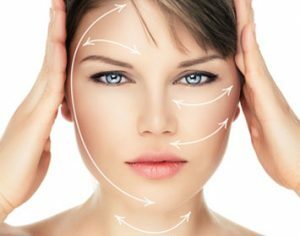 HSA Dermal Clinic is proud to offer the most comprehensive range of non-surgical skin treatments and hair treatments in London, addressing common and rare issues alike through a combination of cutting-edge technology and sophisticated techniques. We understand and appreciate how life-affecting even the most common skin and hair conditions can be for men and women of all ages. Our holistic approach to the provision of skin treatments and hair treatments in London guarantees superior results for every client and unbeatable value for money. Our full range of specialist areas extends to acne, thread veins, sun spots, scarring, dull skin, hair thinning and many others besides. Whatever your needs, we’ll provide you with a 100% bespoke solution to suit your requirements and your budget accordingly. For more information on any of our skin treatments and hair treatments in London, reach out to a member of the HSA Dermal Clinic team to book a consultation.